IMGP1831.JPG | Flickr - Photo Sharing! 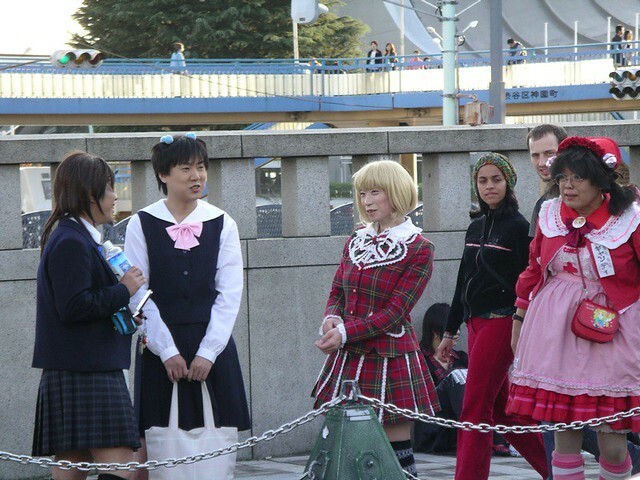 Very strange; men dressed as little girls in Harajuku. It's quite a scene in the plaza near Harajuku subway stop and Yoyogi Park.